Manuel Berryman and victim Frank Borsotti. 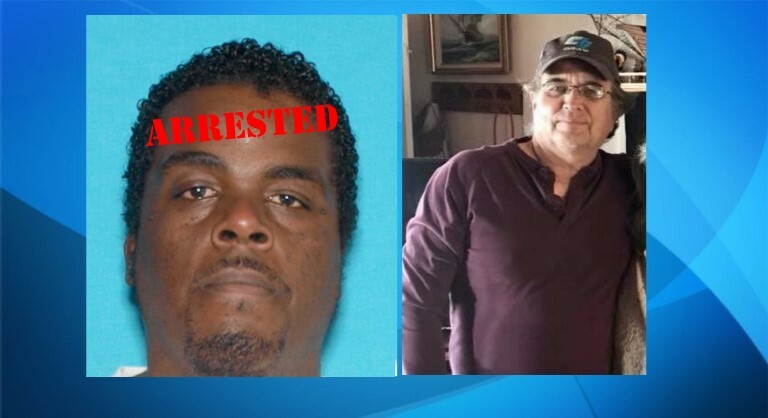 LANCASTER – A 39-year-old California City man who had been called a person of interest in a Lancaster homicide was arrested Tuesday on suspicion of murder, authorities announced. Manuel Berryman turned himself in to authorities at the Lancaster Sheriff’s Station around 12 p.m. Tuesday, Feb. 19, according to a news release from the Sheriff’s Information Bureau. He is being held in lieu of $2 million bail. Berryman had been wanted for questioning in the Jan. 3 killing of 61- year-old Frank Borsotti of Lancaster. 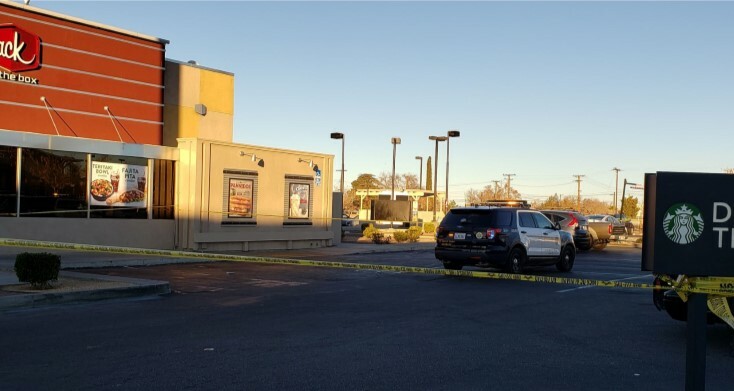 Borsotti died after he was beaten outside a Jack in the Box restaurant in the 436000 block of 10th Street West, according to the sheriff’s department. Deputies were sent around 12:45 p.m. on Jan. 3 to the parking lot of the restaurant to investigate a report of an assault, according to the sheriff’s department. Borsotti was pronounced dead at a hospital about five hours later. His cause of death was blunt force head trauma, according to the Los Angeles County coroner’s office. Berryman is scheduled to be arraigned on the murder charge Feb. 20 at the Antelope Valley courthouse, according to LASD inmate records. 15 comments for "Suspect arrested in Lancaster homicide"
This is California. He’ll be out in a couple of years if that much. “Chain gangs” (AKA prison labor) would be nice to have again. Sides of roads might be cleaner, we could get more trees planted in burn areas, close down sections of roads and have them prep them for resurfacing. But some people feel it is cruel to have people work for their room and board. California does use prison labor. I’m just dying to know the motive of manuels doing, not that there is any justification at all. It must have been over something goofy. Hell, Manuel looks goofy. Too bad the victim didn’t have a multiplier to prevent this unfortunate situation. Manuela would have ran his goofy behind back in his car. I wonder what they were doing behind a JackintheBox at 1 AM. Reread article, saw nothing different, enlighten me. If they were getting food, why were the only cars there in the last 2 spaces in the back. I’ll gamble here and suggest the 1 AM meeting was a drug deal gone wrong. It’s only a guess, I really don’t care. Well, at least you care enough to type up inaccuracies. Random Stranger, can you not tell the difference between p.m. and a.m.? The victim was picking up LUNCH for his wife! Time to start packing. I carry a 38. No, no. He’s leaving and carrying 38 pounds of luggage. Learn to read. I didn’t know beer came in a 38 pack. I hope the racist coward gets a long sentence.